At the Open Data Services Co-operative, we’re passionate about helping people publish and use open data for social impact, particularly where data standards are involved. We believe that data standards are a key part of shared infrastructure for collaboration. As infrastructure, standards need a lot of behind the scenes design, development and maintenance work. When standards operate well, most users will hardly notice them. When standards are neglected, all sort of opportunities for connection, collaboration and engagement break down. But standards are not just technical — they are fundamentally social: about connecting people as well as information. That’s why we’ve been building a model that combines a focus on creating robust and re-usable tools and processes for managing open data standards, along with an outreach and help-desk model that allows us to provide friendly and accessible support for organisations and groups that want to work with those standards. The opportunity to focus on resource directory data standards is especially dear to our hearts, as our founding members first worked together back in 2008 to work on a project involving data about youth activities and other services across the UK — and many of the newer members of our team have roots in youth and community development. 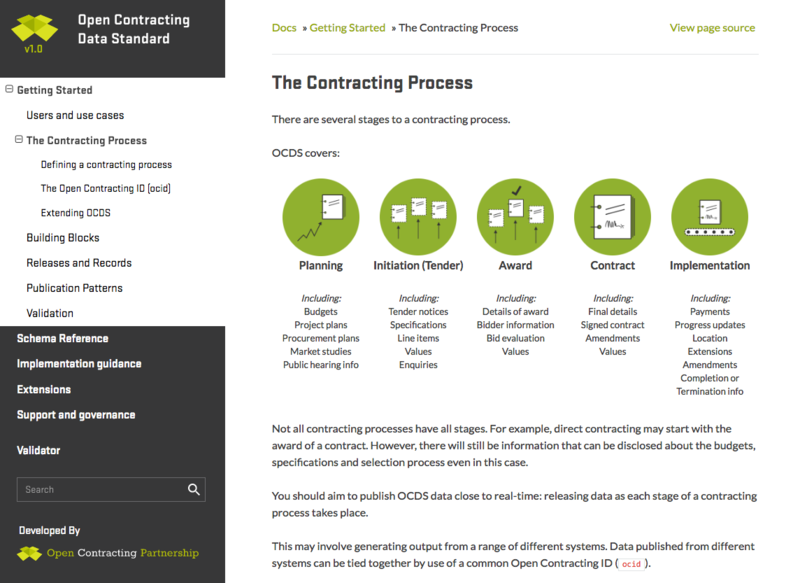 Since we set-up Open Data Services in early 2015, we’ve been working on a range of projects, from managing the global Open Contracting Data Standard (OCDS) helpdesk for the Open Contracting Partnership and developing an extension to the standard to cover Public Private Partnerships for the World Bank Open Contracting team, to building out tools and support for the 360Giving standard on philanthropy and working with implementers of the International Aid Transparency Initiative standard. We’re looking forward to the opportunity to bring the learning from these projects into our work with the Open Referral community. Over the coming months you might see a number of members of our team cropping up on the mailing lists: Steven, Edafe, Rob and I will all be working with Switchboard of Miami on the pilot implementation of Miami Open211 — in partnership with Greg Bloom, we’ll be exploring the potential for business models that establish this new ‘open platform’ approach as a sustainable operation. We’ll also be helping to migrate the HSDS to Open Referral’s own Github repository, where we’ll look at ways to strengthen the HSDS spec and documentation, and develop proposals for an update to the standard based on learning from recent implementations. There is also another reason we’re delighted to be getting started on this project. Greg’s first essay about this domain — which included a brief proposal for data co-operatives — influenced our initial thinking about a co-operative model for our own work. Being established as a workers co-operative has offered us a great way to escape technology hype cycles, and to bring together different skill sets around open data with a view to providing sustainable support to standards projects. We’re looking forward to collaborating and co-operating with many in the Open Referral community in the months ahead. We hope to see you on the mailing list, and via Open Referral’s new GitHub repository — to debut later this month — where you can join us in considering ways that Open Referral can evolve. Blog data model, implementations, miami, UK, update. permalink.